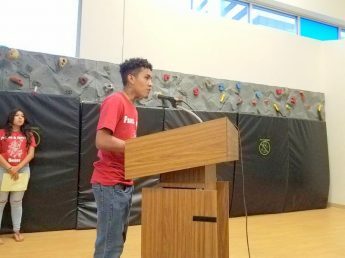 Looking to the School Board of Denver Public Schools (DPS) for answers, Rise Up Community Schools staff and students posed questions at Thursday’s board meeting about what the board will do in the future to keep the school safe from police. 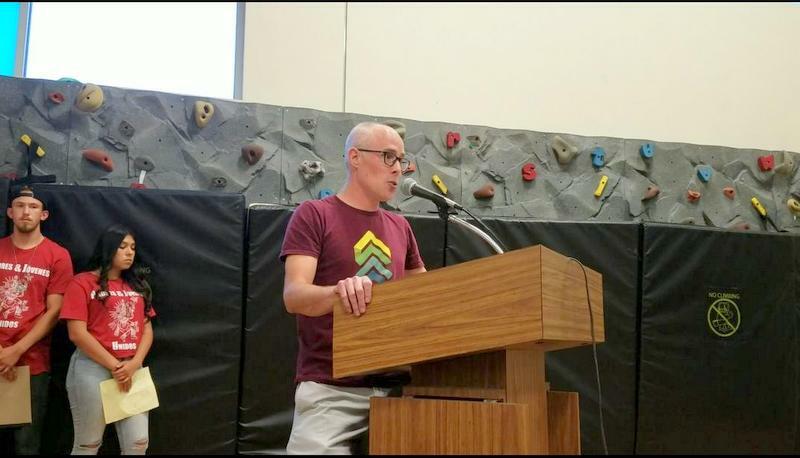 Principal Lucas Ketzer gave a detailed timeline of what happened on April 24 when officers from the Denver Police Department (DPD) showed up at Rise Up looking for a suspect who police say was alleged to be involved in a shooting. According to Ketzer, three DPD officers arrived at 12:35 pm accompanied by a student whom police requested a staff member to verify that the student was enrolled at the school. Being in the presence of this student gave police access to the inside of the school as could be seen by office personnel through security cameras.. 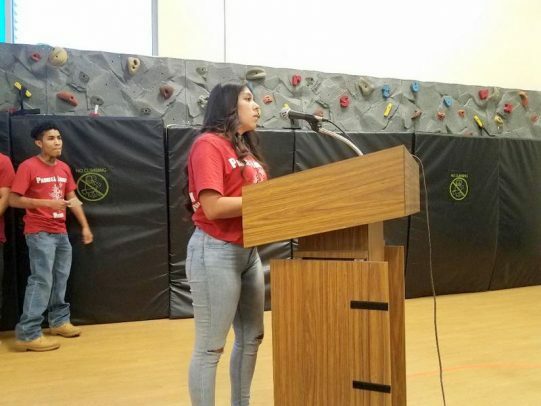 The principal was notified of police presence who then approached DPD to inform officers of school policy: that the student had a choice whether to speak to officers. Convinced that the officers would leave the building after information that the student was not on the premises, Ketzer said he returned to another part of the building unaware of events that followed. In another classroom, officers allegedly ordered a student to remove his hat and then physically forced him out of his desk.